Crash Course: Are We Headed for an Autonomous Utopia or Driverless Dystopia? 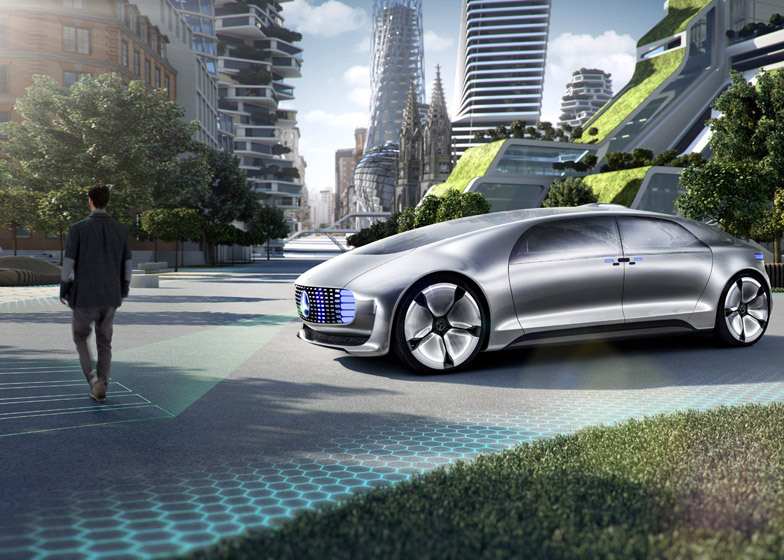 “Autonomy will change cities as much as cars did,” says Silicon Valley venture capitalist Benedict Evans. 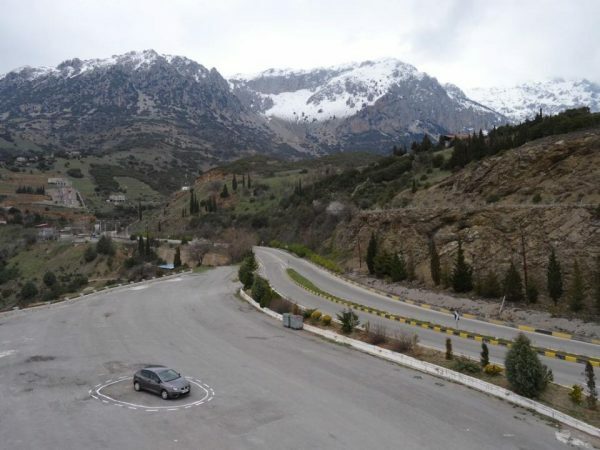 “Thinking this is just about ‘self-driving cars’ is like talking about ‘horseless carriages‘.” No one is quite sure what shape this shift will take, but if the past car-driven century of sprawl has taught urbanists anything it’s that change isn’t always good. But for better or worse, it’s clear this disruption will go well beyond just how we get from Point A to Point B. Author Chenoe Hart explores one extreme (and largely optimistic) end of the spectrum in a piece titled Perpetual Motion Machines, noting that “hypotheses about ‘driverless’ cars still presume there will be such a thing as drivers and passengers, trapping us within the current incarnation of our transportation system.” In other words: we’re too limited by our current paradigm to even imagine the possibilities. Insurance, ground transportation, automotive repair and the like are naturally high on the list of industries likely to be most impacted, but what about other forms of transit, urban design and real estate itself? 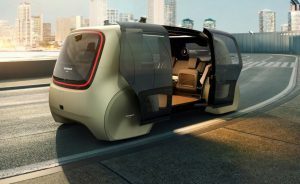 Sven Schuwirth, vice president of brand strategy at Audi, thinks autonomous vehicles could spell doom for domestic flights and hotels. Consider the impact, for instance, on the airline industry. 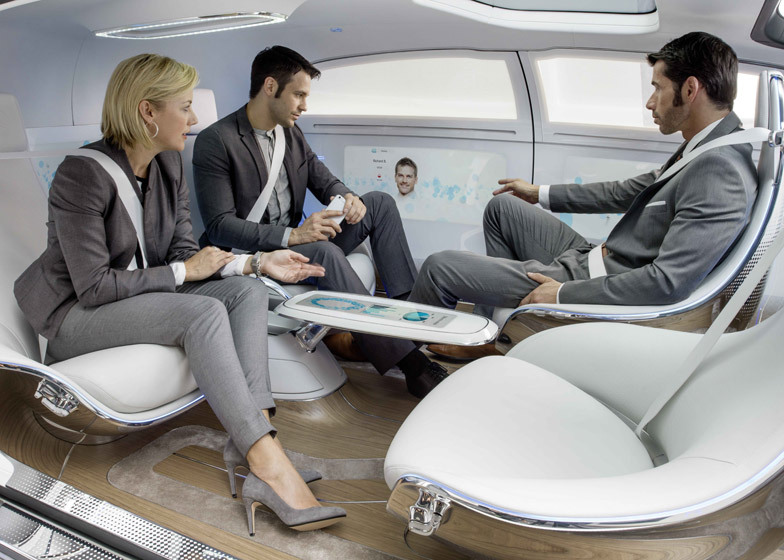 Continuous time in a flexible vehicular interior could become much more appealing than shorter flights that involve going to and from airports, waiting in lines and getting patted down by strangers. Instead, passengers can relax, work and recreate from door to door even if it take a little longer. 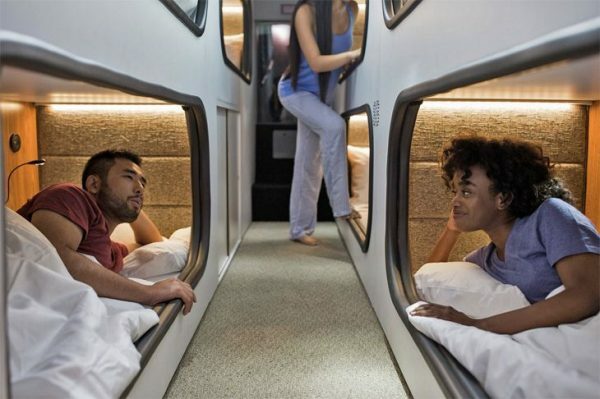 Along similar lines, the ability to sleep in mobile rooms changes the dynamic for land travel. Much like sleeper trains, but with flexible schedules, passengers could pick departure and arrival times to allow overnights. All of the comforts of a hotel could be available without the cumbersome planning and booking. 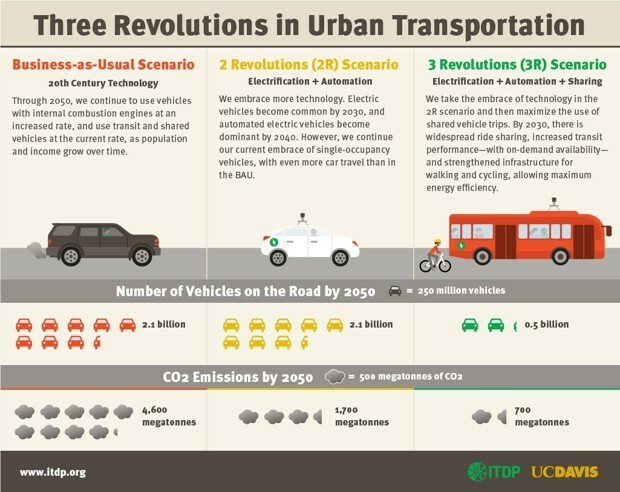 Thanks to the shift toward electric vehicles, all of this could be accomplished while reducing pollution. But even with electrification reducing per-vehicle carbon footprints, there are some potential dangers to the convenience of (or blind faith in) automation. “The dream of cheap, clean mobility in cities might run up against some harsh realities—soaring energy consumption, supercharged sprawl, and intensified traffic congestion—if AVs are simply deployed to encourage more driving,” writes Andrew Small of CityLab. As people sit back, relax and enjoy the ride, there’s a real risk that automation could fuel further expansion and vehicle use. Taken to the extreme: potential cost, time and energy savings may get cancelled out. Instead of sharing, rich car owners might keep private vehicles in motion, having them run errands that expend fuel and take up space. What shape and role new vehicles take will make a difference as well. “A four-person shared UberPool or Lyft Line is not going to replace 40 people on a bus,” says transportation researcher Jacob Mason. “It certainly won’t ever replace a whole fleet. Sharing a car was never going to replace 1,000 people on a train or a bus rapid transit system.” There’s also some evidence to suggest that adding ride shares and taxis to cities actually creates more traffic than adding private vehicles, though automation would presumably diminish wasted cruising time. In theory, automated transportation networks could well reduce harmful emissions and free up space as many optimists envision. But to avert more pessimistic scenarios, smart city planners and governments will need to take an active role in steering the future. The National Association of City Transportation Officials, an international 60-city organization planners and engineers, recently published a 50-page blueprint to pave the way for a brighter autonomous future. They are a serious organization with practical everyday guides to building better city streets, but also have some dramatically forward ideas for curbing traffic in a driverless age. Their publication envisions narrower traffic lanes for autonomous vehicles, which can presumably navigate with greater-than-human precision. It also features flexible zones to accommodate more individual vehicles during higher-traffic times of day. These would then be used by delivery and other service vehicle lanes outside of rush hours, and re-tasked as nightlife pickup and drop-off spots in evenings. Flexible spaces could also be allocated for drone deliveries. “The blueprint is for building the safer future streets that cities need, where speeding is no longer an option, where cars are designed to yield and stop for pedestrians and bicyclists by default, and where people are free to cross the streets where it makes sense, rather than trek a mile to the nearest stoplight,” Mollie Pelon, who oversees NACTO’s technology and city transportation program, told WIRED. Perhaps we’ll eventually look back on this age of high CO2 emissions the same way we now view the horse manure problem of the 1800s, the outcome of which was a paradigm shift no one really anticipated. 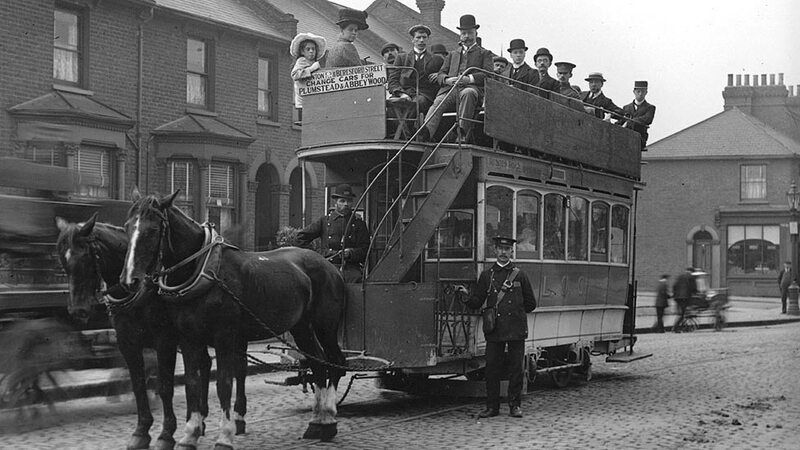 For a time, people worried that excrement from horsecars would turn cities into ever more pestilent wastelands. In hindsight, cleanup efforts and horseless carriages addressed the more immediate concern of dung-strewn and disease-ridden streets. 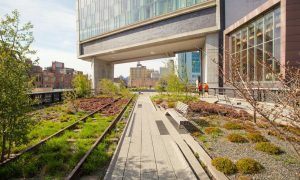 Looking back, though, this development wasn’t truly a fix — old 19th-century traffic and pollution problems were just traded in for a fresh set of 20th-century ones. I appreciate the creative grappling with the pluses/minuses of the future of getting people from here to there and back. What I have yet to see, though, is any proper consideration for emergency response services and trades/services. 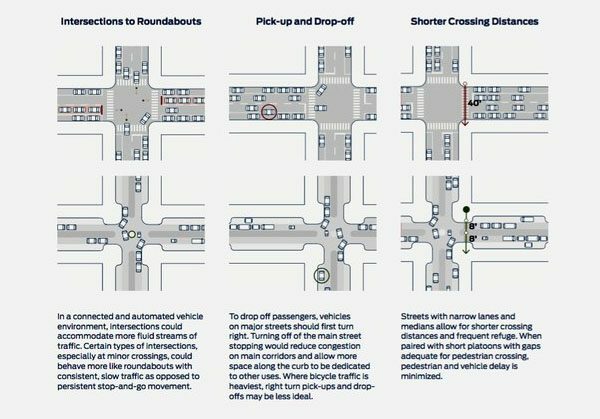 Only in the narrowest consideration of this topic can we think in terms of narrowed roads, maximum vehicle densities on smaller roadways, and getting rid of drivers altogether. Emergency services and delivery/trades/services vehicles require non-standard access and parking places. Short of complete redesign and reconstruction of our current urban environments (a non-starter in almost all situations, I conjecture), we can’t get rid of manual vehicle controls or drivers on anything not strictly for passenger transport, and not strictly confined to “predictable” conditions. And I haven’t addressed anything off the beaten path. As soon as one wants to turn off the pavement and head up a fire/logging road, or even just park in a grassy field, proper manual controls are likely needed. I don’t want to think about the societal implications of new generations even further removed from the tangible, physical world beyond the urban hardscape. But that’s another discussion entirely. Dense urban environments can benefit greatly from AVs in my estimation, but Utopia is a long shot given the pragmatic need for emergency vehicle access and trades/services combined with what most people never think of: the civic infrastructure that gives us all water, power, sewage treatment, waste disposal, construction, and other vital services. You 99PI folks are superb at tackling these sorts of issues at the messy margins of the built environment. I’d love to see something from you that takes a swing at some of these thoughts. Thanks for your exceptional work! The street space for 60 people – car versus bus versus bicycle, actually shows transportation mode for 72 people. The credits for the photograph are for the City of Münster Planning Office, Germany taken in August 1990.